We are open Monday to Friday, from 11:00am to 7:00pm and Saturdays from 10:00am to 4:00pm. - In Chelsea at 134 West 26th Street, Suite #602 (between 6th and 7th Ave). - In the Upper East Side at 174 East 73rd Street, Suite #7 (between Lexington & 3rd Ave). - In Astoria, Queens at 21-14 Newtown Avenue, First Floor Astoria, NY 11102. 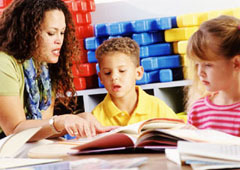 - What should I do if my child is going to be absent? If you know ahead of time that you need to cancel or change an appointment, please let your therapist know and she will attempt to reschedule your appointment. If you need to cancel the day of your appointment please call the clinic as soon as possible. Notifications of vacations, in which two or more sessions will be missed, should be given at least two weeks in advance. - What should I do if my child isn’t feeling well? Please be considerate of the other children/families and therapists and do not send your child to therapy if he or she is sick or showing signs of illness. - What is the policy for arrival? 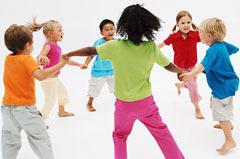 In order for your child to achieve maximum benefit from therapy services it is important that you arrive on time. When you arrive please wait for the therapist in the waiting area until you are called for your appointment. If you will not be observing your child’s session or remaining in the waiting room, you must leave a phone number where you can be reached in case of emergency. - What is the policy for departure? Following therapy your child will be brought to the waiting room by his/her therapist. This will assist your child in transitioning and allow the therapist time to provide a brief report on the treatment that just occurred. It is extremely important for your child to be picked up on time. Please recognize that being late to pick up your child from therapy has several negative ramifications including; being disruptive to your child, the next scheduled appointment and the therapist. Please be in the waiting area when your child and therapist come out to avoid possible disruptions and so you can talk the therapist about the session. If you are late to pick up your child more than two times, you will be asked to remain in the waiting area during your child’s therapy.